You have a vision of the person you want to be. This person is strong, healthy, and powerful. You may want to put on more muscle mass, or shed some fat. Maybe you have been told by your doctor that you need to lose weight and become more active for the sake of your health. Regardless of your motivation, you have goals, and you are ready to achieve them. However, that doesn’t mean you don’t need help. 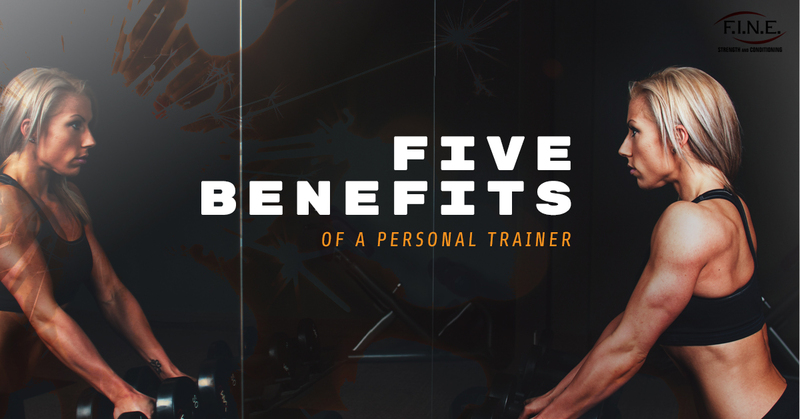 If you are considering hiring a personal trainer to help you become the person you want to be, here are just some of the many benefits you can expect. Most people have at least a base level of information about fitness. For example, most people are aware that exercise is integral to health, and that improving your fitness level doesn’t happen overnight. However, there is a lot more to it than hopping on the treadmill once every couple of days. In order to make real changes, you need information about how best to accomplish your fitness goals. This is where a personal trainer is invaluable. At Fit in New England (F.I.N.E. ), every single one of our fitness coaches has finished a four-year degree in kinesiology or another related field and is fully certified in the CSCS program. We pride ourselves on having an educated staff because we know that knowledge is power. The biggest benefit that a personal trainer can give you to help you towards your goals is the knowledge you need to reach them. Your personal trainer not only gives you the education you need to reach your goals, they can also provide you with a hearty dose of motivation. At this moment in time, you may not be short on motivation at all. After all, you are reading a blog on a fitness club’s site, so you are probably more than ready to hit the gym and get started working on your goals. However, motivation is something that only lasts for so long. Pretty soon, you find yourself heading home to sit on the couch more often than hitting the gym, and with time, you backslide more and more into old habits. When you have a personal trainer, being a couch potato simply isn’t an option. 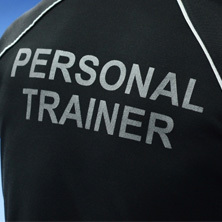 Your personal trainer will keep you committed to your goals because your success is integral to their success. When you start to doubt yourself and slack off, your coach is there to remind you why you started on this journey in the first place. You may be tempted to blow off the gym for an office happy hour, and when you are the only one involved in your fitness goals, it’s easy to tell yourself that you will just go tomorrow (even though you definitely won’t). When you have a personal trainer waiting for you at the gym, you can’t skip a session. Not only would you hate to disappoint your fitness coach, you have put time and money towards your personal training session. It is much more difficult to justify skipping the gym when you have an appointment scheduled with someone else. Personal training establishes greater accountability for your workouts, making it easier to stick to them. You may be considering saving a few bucks by attending a group fitness class or doing workout DVDs instead. While these can be valuable tools on your fitness journey, you are simply not getting the level of personalization that you do when you hire a trainer. Your fitness class may be filled with other people who need the attention of the instructor, leaving you confused about how to properly do the exercise. At best, this means you aren’t getting the effective workout you are seeking, and at worst, you risk injury to yourself. When you have a personal trainer, every exercise you do has been personalized to your fitness goals and level, and your coach can stand there and make sure you are doing them correctly. Having a completely personalized workout experience is simply the best value for your exercise dollar. When it comes to time, few of us have enough of it to accomplish everything we want to in a day. You are a busy person, so you need your workout to do everything for you in a short amount of time. While when you are working out by yourself, you might spend five minutes here trying to figure a machine and five minutes there wondering if you are doing it right, when you work out with a personal trainer, you know you are working out in the most efficient way possible to achieve your goals. You can make the most of your scheduled gym time by hiring a personal trainer. 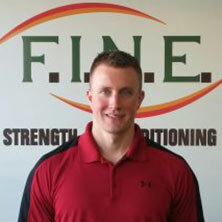 At F.I.N.E., we are proud to provide you with some of the most knowledgeable personal trainers in the Medford area. 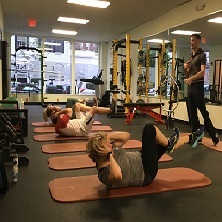 Because our fitness coaches have a formal education on the body and exercises, they have a wealth of information about fitness that is unparalleled at any other fitness studio. 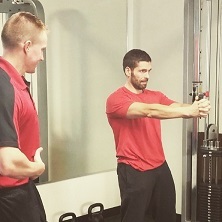 Contact us today to learn more about our personal training services!